R&B artist who revamped her singing career by forming The Braxtons in 2010 with her sisters. She started singing with her sisters at age five and signed her first record deal in 1989. 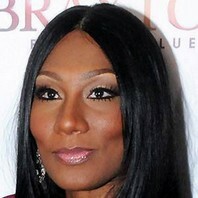 She gained reality fame for starring in the WE TV series Braxton Family Values. She married Andre Carter in 2003; the couple later raised two children. Her older sister Toni Braxton had a career as a platinum-selling R&B singer.